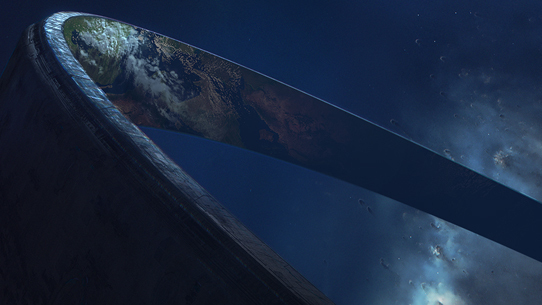 Before we dive in, if you’re just joining us, be sure to check out the first two blogs for some important background and context about the MCC update project! Ever since we first announced our intent to update and improve the Master Chief Collection, public flighting has been a critical component of the plan. We’ve discussed this quite a bit in our previous blogs but in a nut shell, flighting is the process of releasing standalone work-in-progress builds for members of the MCC Insider program to help test in the wild. Think of it like an alpha or beta that’s released in ongoing intervals with a specific set of content aimed at testing specific facets of the MCC update. Of course, we do have a dedicated internal test team that's working hard on this update, but flighting offers us way to get critical data and feedback at a much larger scale thanks to so many passionate players. Also, keep in mind that because flighting is a snapshot of a specific piece of the build at a specific moment in development, by the time the flight is released to the public, it's already behind the overall state of the main build internally. This just means that you may experience elements of a flight that don't seem to align with what you've been reading about in terms of overall progress but it's likely the result of the granular focus for the flight and the point in time that specific part of the game was sliced off and isolated for flight purposes. Thank you! The initial response and excitement shown by the community has been awesome. We’re humbled and inspired by the outpouring of support and interest across the community. In the short time since we kicked off official MCC Insider Program sign-ups, over 13k fans have registered to join the cause. This is our first time operating a public flight, and it’s a four year old game, so we honestly weren’t sure what to expect but the community has blown us away with their eagerness to help. Thank you! Not everyone will be activated right away. As we’ve stated before, we’re intentionally starting with a small group of participants for our first flight. In fact, the vast majority of our 13K+ registered insiders will NOT be included in the first flight. Please don’t take this the wrong way – we are thrilled and eager to make sure everyone has a chance to participate and share input and feedback. We sincerely value your time and your insights. If you’re not selected for the first flight, please don’t fret – we still want your help and look forward to your involvement and you will have opportunities! Since there are so many questions still surfacing with regards to public flighting, here are a few answers to some of the most common inquiries (as a reminder, you can post questions and discuss the overall MCC Insider Program with us here at Halo Waypoint. DO I HAVE TO HAVE TO OWN / HAVE MCC INSTALLED IN ORDER TO PARTICIPATE IN A PUBLIC FLIGHT? No, you don’t have to own MCC to participate. However, players who have prior experience with MCC do have a higher likelihood of getting selected to participate in a flight(s). But the content itself is a separate, standalone download that doesn’t require the retail game. What exactly is being included in the first flight? For the first public flight, our team is looking at stress testing the new matchmaking updates that have been integrated over the past few months. In order to achieve this goal, the content offering will be specifically tailored to help us measure and test these systems. The first flight build will be limited to Halo 2: Anniversary multiplayer matchmaking and will include only Team Slayer on a handful of favorite maps. The game time will be set to 5 minutes to facilitate more matches to stress the matchmaking itself. Our team will be looking at two key pieces of data to assess and validate this flight: the time it takes for players to match, and the overall match success rate. We will have a few focused play sessions at specific days/times to help drive maximum engagement, and ensure there's adequate population for matchmaking. We'll be watching very closely - while our internal testing has already shown great improvements in these matchmaking areas, it is possible that if we don't get enough people playing to hit our concurrency targets, participants may actually feel like matchmaking is actually slower than it is in the current retail product. If we need to bring in more players and/or add more play sessions, we will. Additionally, the team is considering just leaving the content up and available outside of the targeted windows but keep in mind that it may be difficult to actually find a match depending on the active player population at the time. Future flights will have differing scopes of content, experiences, and participants that align with the specific testing goals the team is looking to hit. Also, as flights get larger in scope, so too should the overall broader appeal of the included content (i.e. more Halo goodness than just 5 min matchmaking games). When can we expect to get our hands on the first public flight? We’re in the process of validating and testing what will become the public flight build now. There are still a few loose ends to wrap up and a few dependencies pending so we don’t have a date to announce just yet. We hope to see the first flight rolling out within the next few weeks, with selected MCC Insider Participants receiving an official email with additional details and instructions as soon as it’s locked. We are getting very close. Stay tuned. Why isn’t everyone in the MCC Insider Program included in the flight? It’s awesome how many people have signed up and expressed interest to help us improve MCC! It’s also really important to us that we deliver a positive flight experience for our participants and release a build that is stable and helps us achieve our testing goals. As this is a new process for us, and MCC is complicated project, we’re intentionally keeping the audience small and targeted for at least this inaugural flight. We hope things go exactly according to plan but the reality is that surely there will be at least some amount of issues we’ll have to work through together – that’s just the nature of flighting. Over time, we will absolutely be expanding our flight participant audience to include more and more players and remain committed to ensuring that eventually, everyone who wants to participate is given the opportunity. How can I improve my odds of being selected for the first flight? Well, for each flight, the number of participants and criteria used to build out the roster will likely vary depending on the specific needs and goals of the flight. For this first flight though, one of the main criteria is selecting players who have logged at least ~20 MCC multiplayer sessions in the last 6 months. Note that this query was already run, so while we'd still love your support and to have you spend time playing MCC, playing twenty games today won't necessarily get you into the first flight at this stage. Going forward, one way you can definitely help your odds is to just play the current retail version of MCC. Everything we’re doing is building upon the current game and it’s important to us that participants have some context when providing feedback on specific fixes and improvements. I didn’t get selected. Now what? Hang in there! Please don’t abandon us, we do need you. In the meantime, make sure you’re setup with the Xbox Insider Program (if not already) and consider spending some time re-acclimating yourself with MCC at it exists today. We will call for your help soon enough, stay tuned. Is the MCC public flight considered confidential? Yes, the MCC Insider Program is governed by the Microsoft Confidentiality Agreement that all participants agreed to upon registration. This means that participants won’t be able to stream, capture, post or discuss the flights on Waypoint or any other public channels. Instead, participants will be asked to use the Xbox Insider Hub to file issues and everyone will receive an official feedback survey via email at the conclusion of a flight. My friend loves MCC and hasn’t ever heard of the update or the Insider Program. How are you going to get the word out and really drive participation? For now, we’re feeling pretty good about where we stand. In fact, as noted above, we’re facing a situation where we have to temporarily turn away the vast majority of people who have registered for the MCC Insider Program. Once we get rolling, if we find that we need more bodies, we’ll work to get the word out broader. Join the MCC Insider Program! If you’ve yet to sign-up for the MCC Insider Program we’d still love to have you! Registration is pretty simple, to help streamline the process and account for some email issues some have reported, you can now sign up directly (we'd of course still love to have you join the Halo Community Feedback Program as well!). Please check out this thread on Halo Waypoint for some additional info and the registration link. We’re always looking for more members of our community who are passionate about Halo and want to help shape the future of The Master Chief Collection! So, what does this all mean? Let me try and unpack a few of these items as best I can…. “P1 & P2 continued bug fixing” is a broad way of saying “fixing all the worst bugs that negatively impact our ability to deliver the flighting build or complete a milestone.” Some of these bugs are carryovers from the retail version of MCC while others are new and were introduced during the process of this update work. Texture streaming is something the engineering folks have been working on and I’m told some of the fruits of their labor are already noticeable in-game via considerably quicker load times. Greg says that MP map load times across the board are significantly quicker (approx. 35-40% of what they were previously). Intelligent Delivery (the feature that will enable players to eventually have the option of only installing one or more specific titles within MCC or even changing which language they want to install) has been underway for a while now. This feature gets really complicated really quickly but is something the team continues to make good progress against. For what it’s worth, even though our flighting build will only have Halo 2 Anniversary in it, the other content is being manually stripped out for now – this is not technically “Intelligent Delivery” at work. Not yet. We’ll talk more about the some of the UI and UX updates further below (including some show-and-tell!) but suffice it to say that the fruits of this work have slowly been making their way into our internal builds. Some of this, like the updated title screen and main menu, will be included in the first flight. Others, like HDR settings and LAN Support options, are not within the scope of the initial flight. The last item on the list is more of a behind-the-scenes update but this has effectively migrated the tools and systems that are used to update and deploy MCC matchmaking playlists to a new, modernized CMS (content manage system) here within 343. It sounds trivial but this will pay big dividends down the road and should result in more efficient, consistent means of updating playlists and things like the Message of the Day. There’s a lot going on with the MCC update and we’ve tried to be up front and clear about what’s considered a day one must-have, what’s being evaluated for further down the road, and still what other things are just pie-in-the-sky considerations for the future. 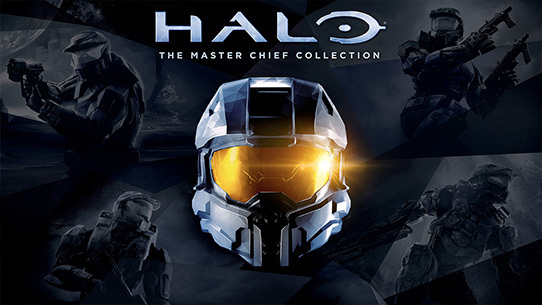 To help manage expectations I wanted to clarify the current plan of record regarding what you can expect to be available when the retail version of MCC receives its first true patch. There's currently no firm ETA to share publicly, but assuming flighting and dependencies go as planned - which is honestly a potentially risky assumption with a project of this complexity - we're targeting release of the first patch sometime later this Summer. Ultimately, this project is driven by quality first and foremost, so the team will take as much time as needed to achieve their goals. We'll continue to keep you updated on release timing targets as the team continues to make progress. This means that other new features, like the highly anticipated Custom Game Browser, will not be included with the first patch. It is, however, high atop the list for the next round of work (and will no doubt surface in public flighting rings in the coming months). In addition, for areas like “UI & UX updates”, that work will continue and is expected to grow in scope over time. As we’ve stated all along, this MCC project is viewed as an ongoing process and partnership with our community – the team has ambitious goals for the title that involves a steady stream of rolling updates (and continuous public testing) well after the initial retail patch. We’ll continue to keep you abreast of these features, priorities, and targets as the project progresses. For now, what are you most looking forward to with this first update? Let us know over in the MCC forums! Regression – When I ask the team “what keeps you up at night?” the answer was a resounding “REGRESSIONS!” This is a complicated project and with so much being worked on across so many engines and code bases there’s always a very high risk of introducing new bugs in the process of adding a new feature or fixing an old bug. This is nightmare fuel for an engineering team. Thankfully we’ll have an army of community players helping to catch any pesky bugs that might slip through the cracks! Blue Screen – Sean has done some work to bring back to the Halo 2 network transition screen (the bluescreen that pops up saying “Connecting to game…” and when there’s a wait for a player to join or when a host migration occurs). Turns out that original code was ‘commented out’ during MCC development which resulted in H2 network games just having black screens or just a scoreboard which isn’t informative for players (nor historically correct!). Classic Controls - Sean managed to squeeze in a few fixes addressing some MCC-era Halo 2 control scheme inconsistencies. Custom Edition – Another area Sean has been tinkering with on the side is working on the pipeline and process to bring Halo Custom Edition maps into MCC. This is longer lead proof-of-concept work that isn’t part of the near-term scope but he’s shared some exciting progress successfully loading a Halo Custom Edition map into MCC. There’s a lot of rough edges and plenty of work to still do on this front - and to be honest this feature work isn't currently even tied to an official milestone - but it’s a really tantalizing and exciting prospect to think about further down the road. Dedicated Optimizations - Andrew has spent some time behind the scenes improving how MCC’s dedicated servers operate. When MCC shipped originally, with all of its different MP engines, each individual game required a separate, individual server deployment. Now the team has been able to build this into a single dedicated server deployment that can support all of the games within MCC. This streamlining means that on our end, dedicated servers can be operated and managed much more efficiently. Spawning – Sean has been working on adjustments to restore the Halo 2 spawning code back to how it worked in the original game. Originally, in MCC, Halo 2 spawning was modified to heavily weight players to respawn by teammates / at team spawns, which is something a portion of the community (particularly the Halo 2 Vista community) has given a lot of feedback around. While it seems minor, it’s just another example of the focus the team has on trying to get all of MCC’s titles to play and feel as close to the original console games as possible. Tickrates – A single update of a game simulation is known as a "tick." The rate at which the simulation is run on a server is referred often to as the server's tickrate; this is essentially the server equivalent of a client's frame rate, absent any rendering system. When the Vista port was created for Halo 2, the “tickrate” was updated from 30 to 60, which resulted in the fire rate of some weapons inadvertently changing. There are also some similar oddities that have been discovered with AI fire rates that appears to be linked to the shift from 30hz to 60hz. Sean has been working on digging into this and identifying areas where this can be adjusted to more accurately replicate the original Xbox experience. This is ongoing but eventually is an area where the team will definitely want community feedback once this work hits a public flight build. 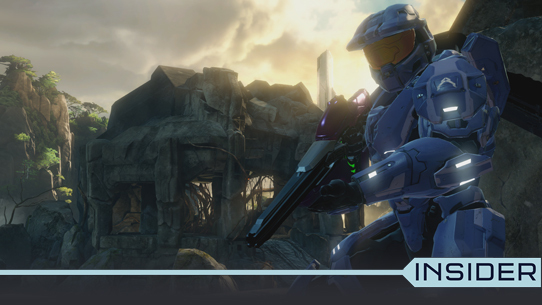 Enhanced Visuals – When MCC shipped, Halo 2: Anniversary's Campaign was the only piece of the collection that wasn’t locked at 1080p. H2A was built for Xbox One natively, and so has very high fidelity assets and textures relative to the games ported in MCC. For that reason, it uses a variable resolution approach that prioritizes a smooth frame rate but can occasionally result in the resolution dropping slightly (the same tech was used in Halo 5). What this means is that as MCC is receiving visual enhancements, with a goal of making everything 4K, there’s still a likelihood that H2A might periodically dip below that resolution. The team continues to work on this area but wanted to let me know that it’s likely that H2A’s campaign, while getting a sweet visual boost, will still fundamentally rely on a “variable resolution” model. 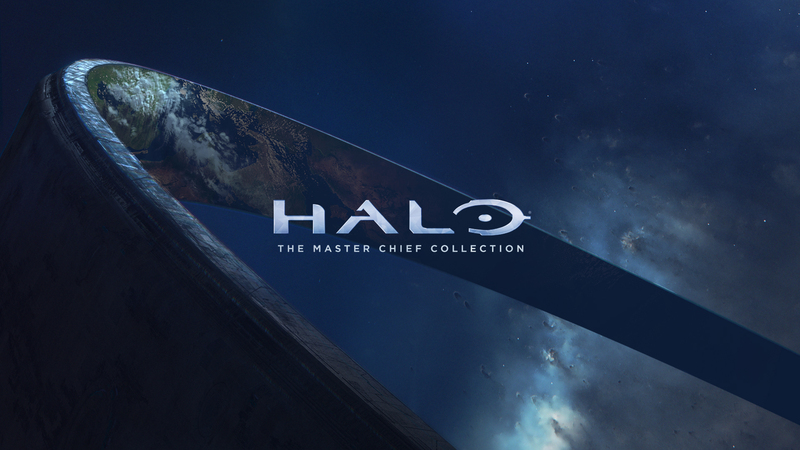 I asked Jeremy Cook, MCC Art Director, to share a bit of background with us about the updated MCC splash screen. Why change it? The splash screen is the first impression into a title. I wanted it to immediately say “Halo” and give that sense of wonder and scale. The ring is not just our namesake, it’s (effectively) a main character, and is a constant theme throughout MCC. And with 4k, you’ll see all those amazing details in the ring and on the surface. 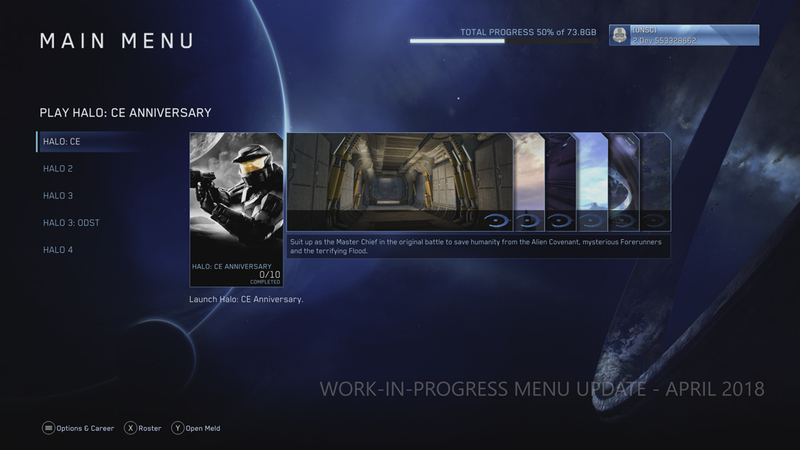 The team has already shared their desire to take this opportunity to give some TLC to the menu and UI in MCC. Some of this work is already starting to show up in the latest internal builds – like this screenshot below, which gives a good look at how the main menu is being tweaked. One minor, cool detail – in the upper right corner you can see a progress bar that’s denoting what % of the entire MCC package is installed – this is tied to the “Intelligent Delivery” feature. Again, here’s MCC Art Director Jeremy Cook with some additional context around these changes. Why change the menu and what are the goals behind these changes? MCC is a BIG title. In fact, it’s five titles. So making it feel cohesive, thematic, and not confusing to the player in the process is a challenge. With our updates, we approach every screen with the goals of having as few of clicks as possible to interact, making what is important stand out, and limit confusion on what you can do and where you can go from that current state/location. Artistically, I wanted to visually simplify things, declutter and give everything a cohesive, Halo look, regardless of what “Halo” you’re playing. And Jeremy and team aren’t done yet. What else are they working on and exploring when it comes to a MCC visual refresh? This flighting build is just the first, baby steps - We’re tackling the early main menu areas for now, so stay tuned for bigger and better in the future. Getting fan feedback is critical for us to inform future designs. A good example of this is hearing; “ODST is too buried, I can’t find it!” so we reordered some things and have it sitting with the other titles, front and center. (note that ODST is extra content that not everyone has). Nothing should ever be ‘buried’ or ‘lost.’ It’s a big job, and we’re working very hard to make as many logical, visual and flow changes to make MCC a better experience. We hope you like this first glimpse and the direction we’re going. How do you like the refreshed splash screen and main menu? Share your feedback with Jeremy and the team over in the MCC forum here on Waypoint. With the finishing touches getting put on the first flight, we’re just about ready to take this project to the next level and bring members of the MCC Insider Program aboard to roll up their sleeves and help us stress the new matchmaking systems. We’ll be back in the not-too-distant future with additional updates on the first flight and more details about what’s in store for future flights. Stay tuned and please, keep the feedback coming!